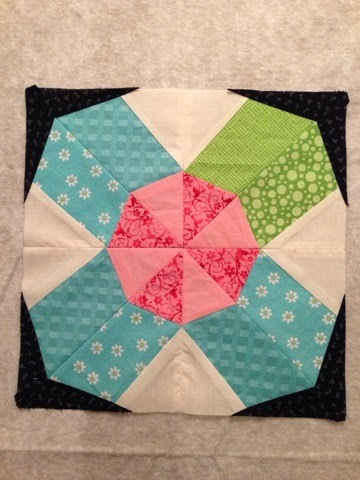 GMHN Quilts by Penny Doucette: One Vortex Block Completed. 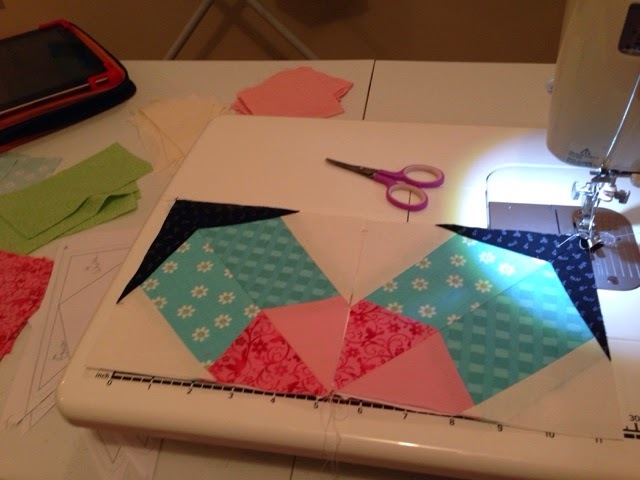 I pulled some of my scraps to make a mini quilt using the vortex block from the class. And here is one of the completed blocks. 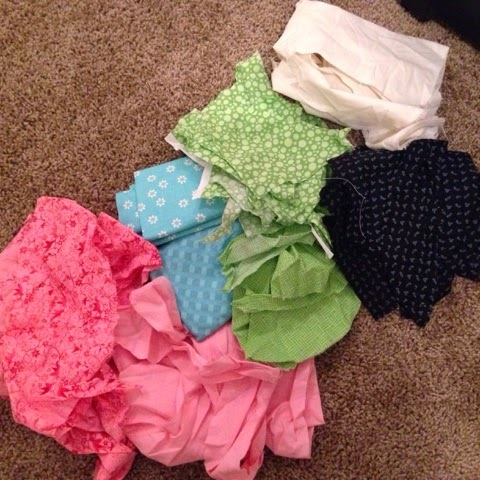 I have three more blocks to make. This block took me most of the day, not because it's difficult (it's not), but because most of it was sewn with an almost 7 month old sitting on my lap (gotta start young, haha). If you haven't tried sewing with a baby in your lap... well I don't recommend it. It feels good to be sewing again, for the first time in 7 months. I really missed it.